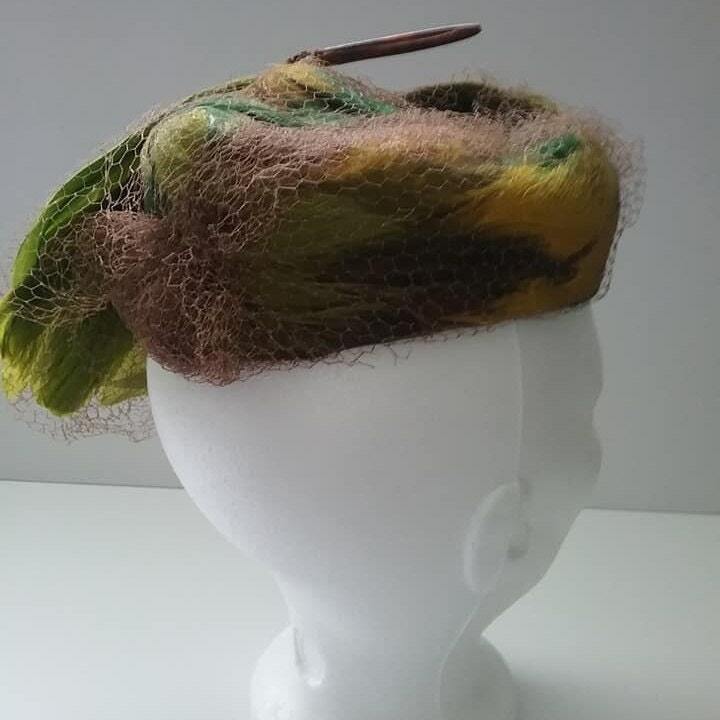 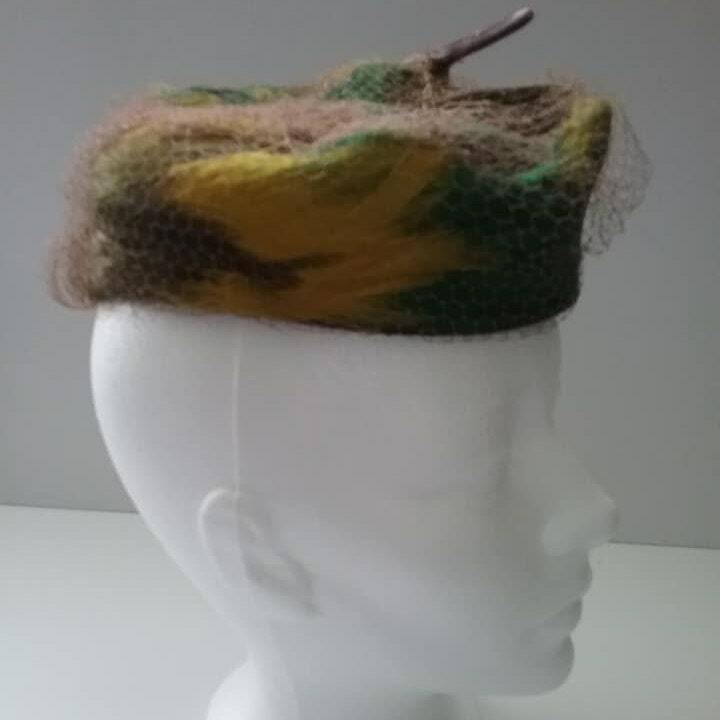 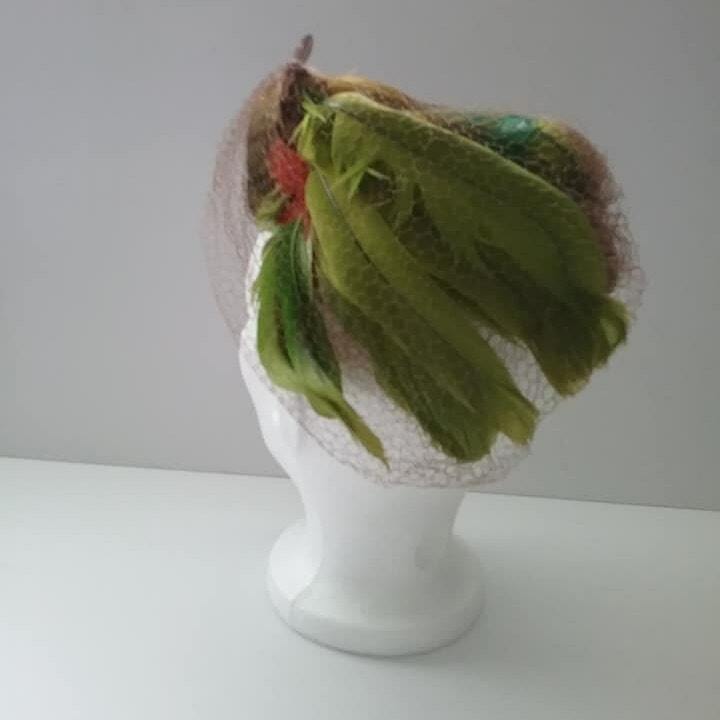 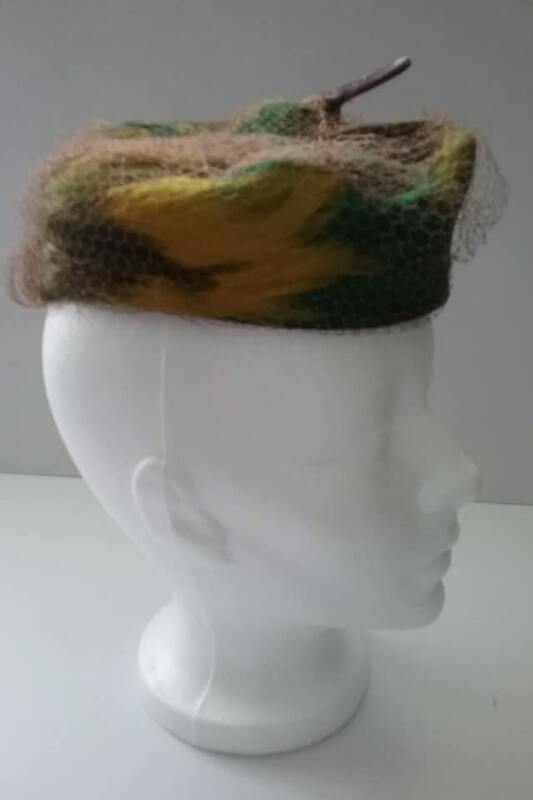 Uniquely beautiful pillbox hat, with large green, gold and brown feathers. 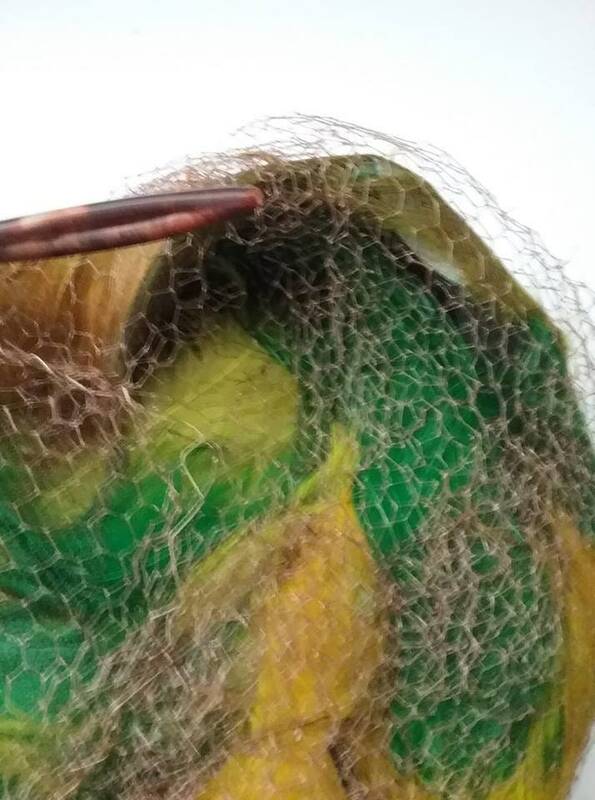 Covered by brown netting that can be arranged to tighten in the feathers at the side, or let them spread as per picture. 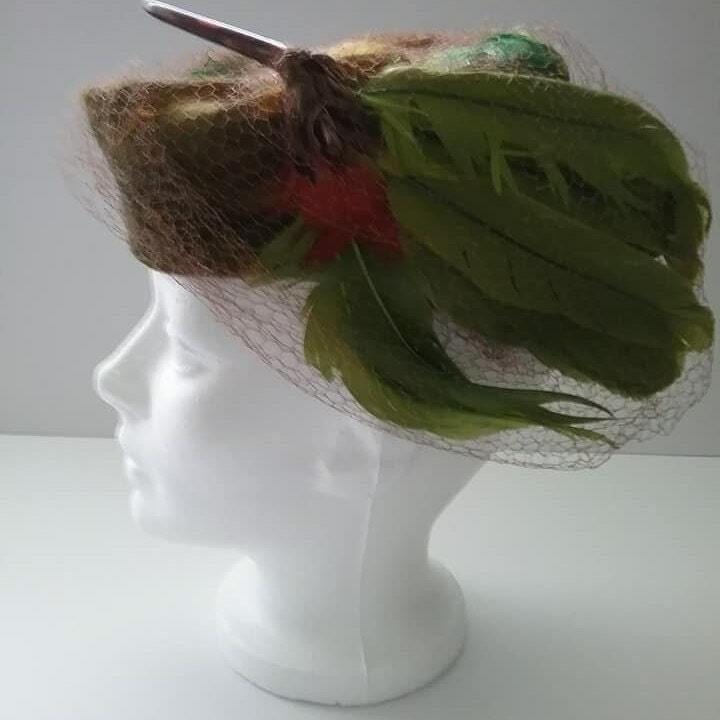 It has some damage in spot on top corner where feather adjustments can be made to cover it. 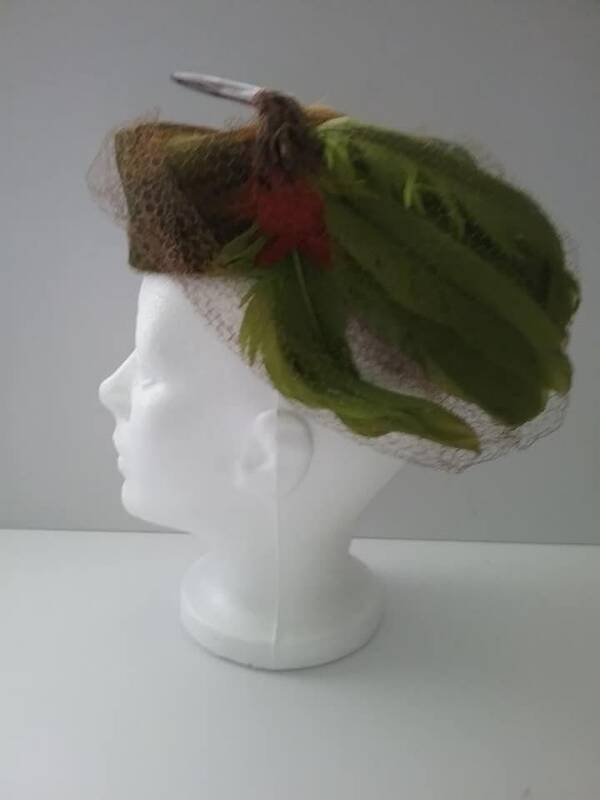 See last pic. 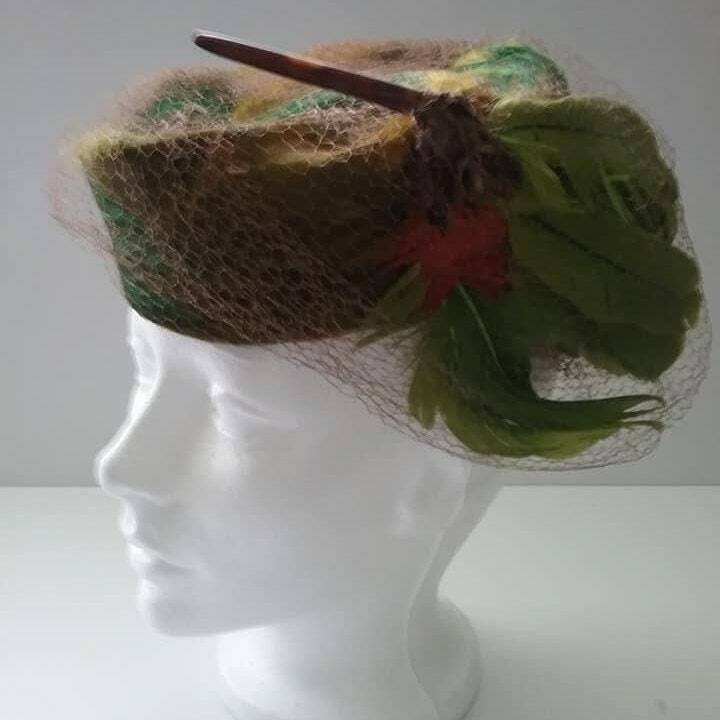 Good vintage condition, hat is priced accordingly.